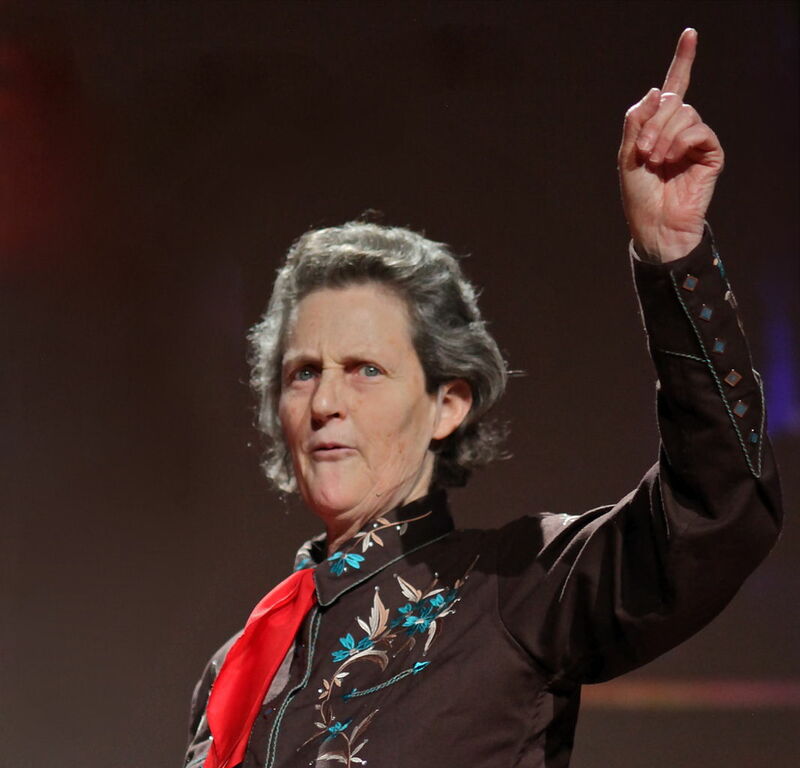 Temple Grandin, a professor of Animal Science at Colorado State University, has contributed immeasurably to agriculture and the study of autism. She is one of the first individuals on the autism spectrum to publicly share her experiences. She went on to earn a PH.D and was inducted into the American Academy of Arts and Sciences in 2016. No one has done more to improve the lot of livestock destined for food. Grandin’s remarkable equipment designs changed the way animals are handled and slaughtered all over the world.